Welcome to The Rise of the Dawnstar Blog Tour hosted by Xpresso Book Tours. Also, there is a giveaway at the end of the review (sadly, only for those who live in USA and Canada). Do not forget to participate. "Aurora Firedrake returns in the spellbinding sequel to The Last of the Firedrakes. 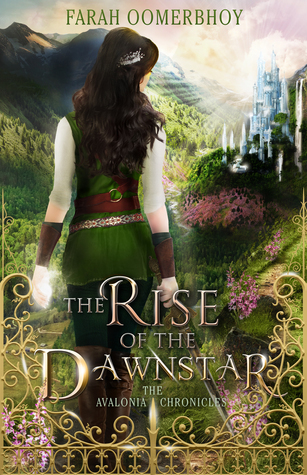 Aurora might have survived her first battle against Morgana, but the true fight to save her kingdom and restore her throne has only just begun…"
In The Rising of the Dawnstar, one of the aspects that I would like to highlight is the author growth. Farah Oomerhboy shows it in this sequel since not only there were some plots twists that I did not see them coming (so much betrayal!) but also the plot seemed more original than in The Last of the Firedreakes (in the first book there were moments I found it similar to the Harry Potter series). Worldbuilding: The best feature of The Avalonia Chronicles is the wordbuiling -although, a few times I found myself overwhelmed with so many kingdoms and locations to remember; but in the end it is very enjoyable. The world created by Oomerhboy is simply magical. And beautiful. An eerie. 💛 From the desert lands to the Fae kingdom everything is described to tiniest detail which makes this fascinating world seem very vivid. Also, the lands are diverse and there are so many amazing enchanted creatures. One of my favourite mythical creatures SPOILER ALERT were the dragons. I have a too huge crush on dragons. Characters: The Rise of the Dawnstar introduced us to new character and some were very intriguing -specially the Fae. Now, Aurora is the biggest downfall of this series, in my opinion. I did not like how her opinion flickered so much -as in the first book, one moment she would be doubting herself, the next one she would think herself better than everyone else (which led her to seem very entitled). Although Aurora questions everyone’s motives, sadly, I didn’t see much character growth since she was still very naïve and would end up believing every word she was told. Romance: Concerning the romance, I was not very fond the it -specially since I was warming up to Rafe. First, Aurora kept saying she loved Rafe, but she doubted him and his intentions throughout the book. As soon as someone told her he would not go back for her, Aurora would simply believed it. I know it's a first love, but constantly doubting of the person you love is not good for a relationship. Also, as I’ve stated many times before I don’t like love triangles (it’s a trope that I can’t stand) and no matter how many times Aurora told herself she didn’t have feelings for Tristan, the Night Court Prince, it was very clear she did. I only hope in the third book the love triangle doesn't go too far. 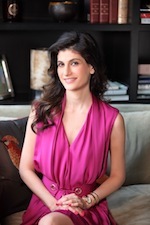 Farah Oomerbhoy is the international bestselling author of The Avalonia Chronicles. Her first book, The Last of the Firedrakes, was originally published on Wattpad where it gained nearly two million reads and a Watty Award. Since publication, her debut has gone on to win a silver medal in IBPA’s Benjamin Franklin Awards and the Readers’ Favorite Book Awards, along with winning a finalist placement in the USA Best Book Awards. Farah loves the fantastical and magical and often dreams of living in Narnia, Neverland, or the Enchanted Forest. With a master’s degree in English literature from the University of Mumbai, Farah spends her creative time crafting magical worlds for young adults. She lives with her family in Mumbai, India. Ps. : You can read here all the blog tour reviews. Thank you Giselle -also, thank you for the review copy and allowing me to make part of the blog tour. <3 The world is brilliantly crafted. There are so many beautiful lands that I wish I could visit. Thank you. I think a review should always point out both pros and cons so that a future reader never ends up disappointed. I hope you enjoy The Avalonia Chronicles when you have a chancee to read it.